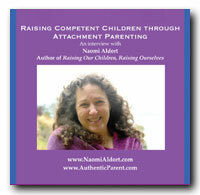 This remarkable 4 CD set covers absolutely everything about attachement parenting. Naomi Aldort answers dozens of universal questions, with wisdom and clarity. How to raise a self-disciplined and well behaved child, without punishment, scolding, praise or threats.